package against the advise of a non-voting associate director. 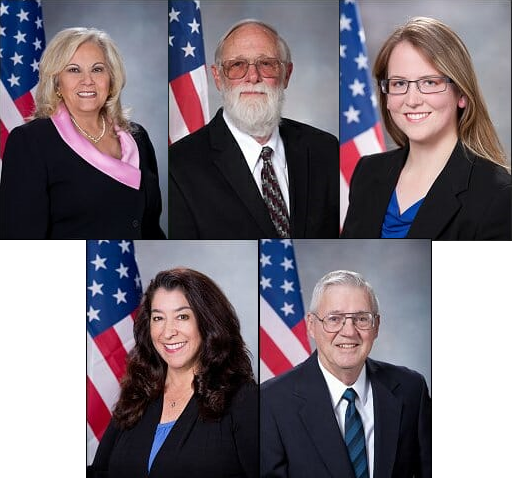 Though it went unnoticed, earlier this year the five directors of the Elk Grove Water District granted themselves a generous health benefits package while they will be considering a district-wide rate hike. The approval of the benefits that the five directors of the Florin Resources Conservation District, which owns the water district, conferred upon themselves was during their Wednesday, February 21, 2018, regular monthly meeting. According to minutes from that meeting, the five directors including Bob Gray, Sophia Scherman, Tom Nelson, Lisa Medina, and Jeanne Sabin all voted for a medical benefits package described as "the lowest costing medical plan"; Delta Dental PPO; and eye-care from Vision Services. The minutes noted that the five directors could decline to accept the benefits by signing a waiver and it is not known if any have refused coverage. Although he is not a voting member of the FRCD of the water board, an associate director voiced concern on the optics of the approving their benefits. Associate director Shahid Chaudry said given the FRCD's shaky finances it might be unwise to confer the benefits. The minutes note Chaudry said "that it is not a good idea at this time to provide the Board of Directors benefits while a rate study is being performed and with the uncertainty of the FRCD." In support of their decision, the minutes reflect Sherman's commenting "that the Board of Directors and employees come first and their health and welfare are important." Notwithstanding Scherman's comments on employees' welfare, the minutes did not contain a discussion of employee benefits. While the water district directors granted themselves a benefits package, a 2016 report from the Sacramento Bee noted the burden ratepayers in the Elk Grove Water District are shouldering. According to the Bee's analysis, Elk Grove ratepayers have the highest rates in the county and the third highest in their regional study (see chart below). 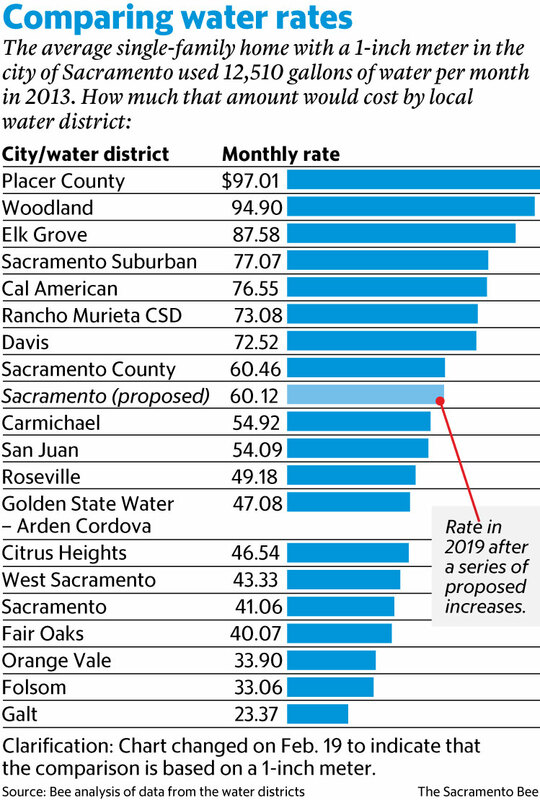 At their Wednesday, July 18 meeting, the Elk Grove Water District will discuss their rate study, where it is expected ratepayers will experience an increase. The meeting will start at 6:30 p.m. at the district office at 9257 Elk Grove Boulevard, Elk Grove. EGN needs to back off. I don't mind paying higher taxes and fees for the privilege of living in Elk Grove! Whenever I meet people and tell them where I'm from, they gaze in amazement and tell me how lucky I am.